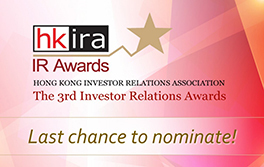 The 3rd IR Awards nomination period is closing at 23:00 HKT time on 10 March 2017. Finance reporters were keen to ask a lot about the investor relations industry. Prof. Louis Cheng of PolyU continued to serve as the Chairman of the Judging Panel this year. 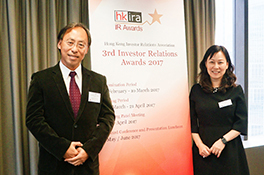 The 3rd Investor Relations Awards was officially launched on 7 Feb 2017 with a press conference that attracted almost 20 media representatives. This year, we've newly introduced three award categories - Best IR in Corporate Transaction, Best Investor Meeting, and Most Progress in IR. We aim to fairly recognize the well performance of IR in various aspect more precisely. 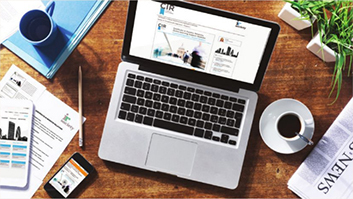 Many IRO has been dedicated to make themselves and encourage senior management available and responsive to investors during time of corporate transactions or in investor meetings. Such best practices worth to be encouraged and awarded. Though this is a busy period of results preparation, it is also the best time to conclude the good work everyone has done last year. Don't forget following right after the nomination period, it will be time to canvass the eligible investors to vote! ListCo representatives earnestly answered questions from the Chinese analysts and researchers. The networking luncheon casually gathered the senior management of ListCo and Mainland investment institutions. 1 Hang Seng survey: Mainland and Hong Kong investors becoming more proactive in asset allocation optmisation, 23 February 2017. HKIRA kick-started 2017 by proudly organized the "Hong Kong Stock Onshore Corporate Access Day" on 19 January, and attracted representatives from 85 Hong Kong listed companies to participate and interact with 33 mainland investment institutions. The full-day event was a big success, thanks to the collaboration of co-organizers CHKLC and LCC, and support from HKEX along with 5 sponsors. Besides the event in January, we also had a two-day roadshow last April in Shanghai, and supported two similar events in last October. Positive feedback shown the ascendant of demand in the market. As mainland investors plan their global asset allocation, Hong Kong is the most popular market, according to a recent survey by Hang Seng Bank1. In view of the trend of interconnection in this era of Stock Connect, HKIRA sees its role in creating platforms for connection - the first step to build relations. More events are in plan this year to strengthen the interaction of two places. Congratulations to the CIR examination passing candidates in December 2016! 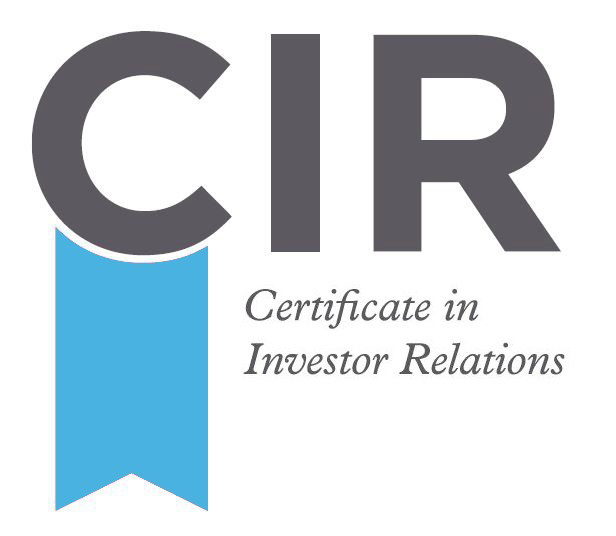 The upcoming Certificate of Investor Relations examination will be held in April and June 2017. Visit http://hkira.com/en/education/cir.php for more details. Exclusively for ListCo members only! The coming luncheon for HKIRA members will be light lunch and panel discussion on the professional development of female IR practitioners through experience sharing. Stay tuned as we will send out invitation soon. 204 China Investment Development Ltd.
680 Nan Hai Corporation Ltd.
735 China Power New Energy Dev. Co., Ltd.
1458 Zhou Hei Ya Int' Holdings Co. Ltd.
Sard Verbinnen & Co is hiring Managing Director - Executive Search: Hong Kong Office. Posted since 20 Feb 2017. Dr. Kelvin Wong, Executive Director & Deputy Managing Director COSCO SHIPPING Ports Ltd. Copyright © 2017 HKIRA, All rights reserved.